Julbo – The best shades under the sun! If you’ve ever been caught out in the snow on a sunny day, you know just how crucial your sunglasses are. Find yourself out there without them, and you might-as-well have left your crampons behind because you’re hosed. The Mount Washington Valley Ice Fest and Julbo USA are old friends with a deep connection, but all biases aside, it’s true – these sunglasses are amazing! Check out a couple of their beloved styles below and swing by the Julbo table before your clinic to try a pair! Explorer 2.0. Faster, stronger, higher: high-alpine mountaineering is changing, and the same goes for Julbos flagship mountaineering model. More ergonomic, better ventilation, slimmer and more stylish, the Explorer 2.0 reaches new summits in performance. With large coverage, removable shields, 360 degree adjustable temples and high protection lenses, these glacier sunglasses are designed for extreme conditions without any comprise. Vermont Classic. Our traditional mountaineering glasses are a timeless piece, a signature of our mountain history. 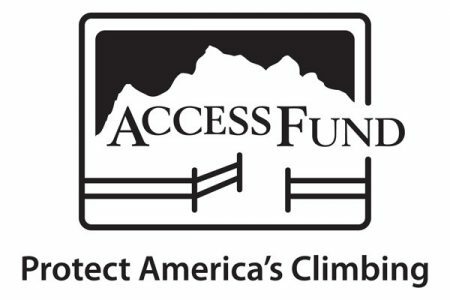 Rock stars, mountaineers and Julbo fans from all walks of life have sung their praise. To celebrate our 125th Anniversary and give our fans the sunglasses theyve been requesting, we brought back the Vermont. 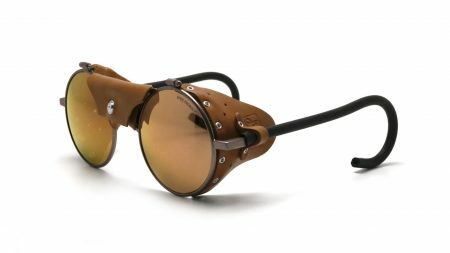 This is our traditional mountaineering frame with round lens, a leather nose piece and leather side shields. 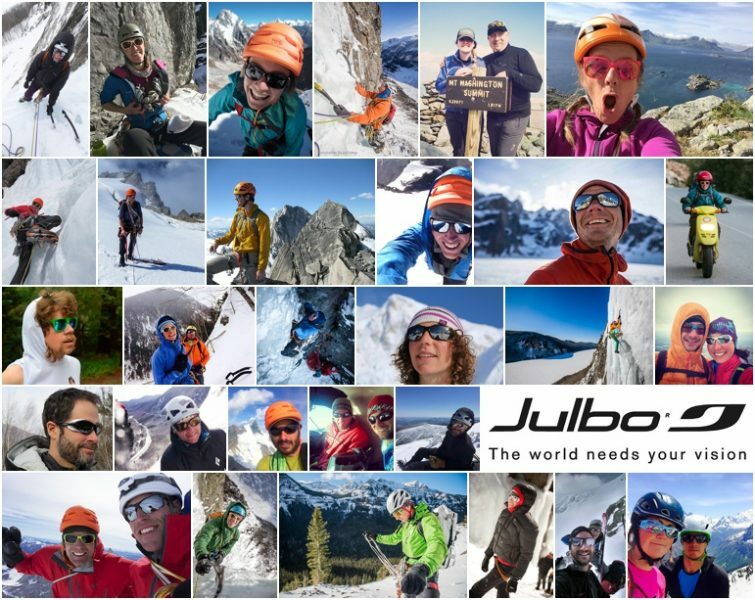 We’re so psyched our friends at Julbo are back for another awesome Ice Fest this year! This company is kind of a big deal. Their glasses and goggles are the best for keeping your vision sharp and safe in the harshest of climates. Check out their table at Ice Fest where you can try on multiple styles or shades and goggles to find the right one for your face shape, and outdoor pursuit! We love this photo from the archives of previous (and a lot of current!) awesome MWV Ice fest guides donning their Julbo shades! 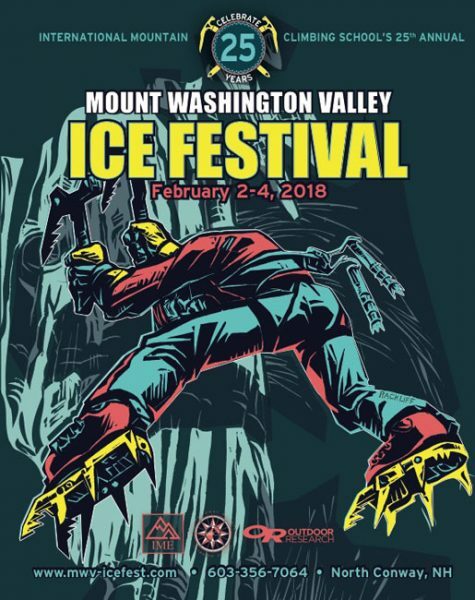 Did you know the CEO of Julbo USA, Nick Yardley, was one of the founding fathers of the Mount Washington Valley Ice Fest? Just one of many reasons why we love seeing them every year at the Fest!